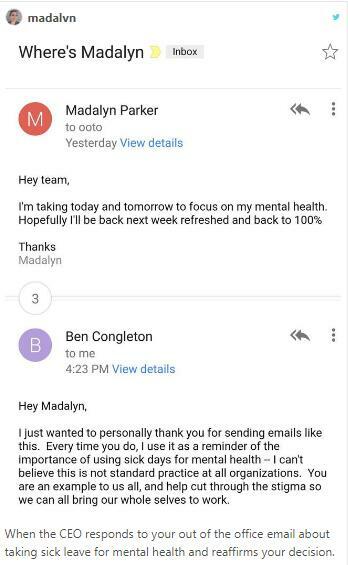 One woman took a mental health sick day and was shocked at her boss's response. 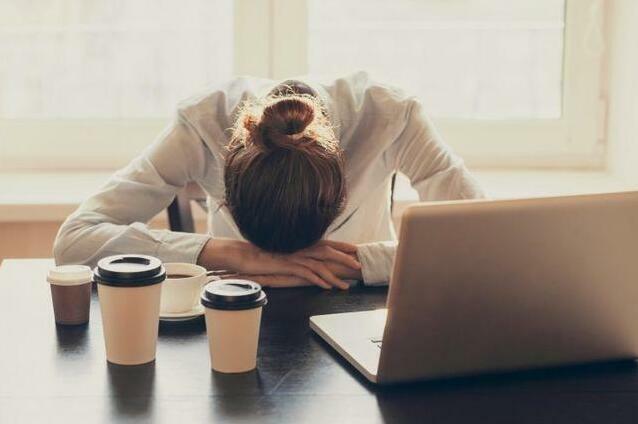 Despite mental health being spoken about by the likes of Lady Gaga and the royal family, many of us still struggle to discuss the issue in the workplace. Even more of us would never think of taking time off to focus on our mental health. When she received a reply from the CEO of the company, Parker didn’t expect a positive one. So she was pleasantly surprised to read Ben Congleton’s supportive words. Parker shared her boss’ inspiring message on Twitter, racking up over 8000 retweets and 30,000 likes. Her boss even went so far as to write an essay on Medium, sharing exactly why companies need to think about the mental health of their employees. A true role model for bosses everywhere.